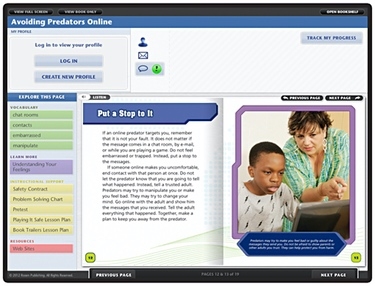 One of the most dangerous things that can happen to a young user on the Internet is to be contacted by an online predator. This volume explains how to avoid predators and what steps to take if readers are contacted by somebody untrustworthy online. Sidebars highlight the finer points of the discussion, such as the role the government plays in protecting children online.